When we first glimpsed the title of Drew Barrymore’s buzzy new Netflix series, we nearly flew into a rage. Santa Clarita Diet called to mind images of Khloé Kardashian’s ill-conceived weight loss show, Revenge Body. We knew Barrymore, as a working actress, must be somewhat into fitness. We also knew her to be besties with lifestyle guru and junk food watchwoman Gwyneth Paltrow. But how could the storied comedienne have possibly reached tacky-diet-promoter status? 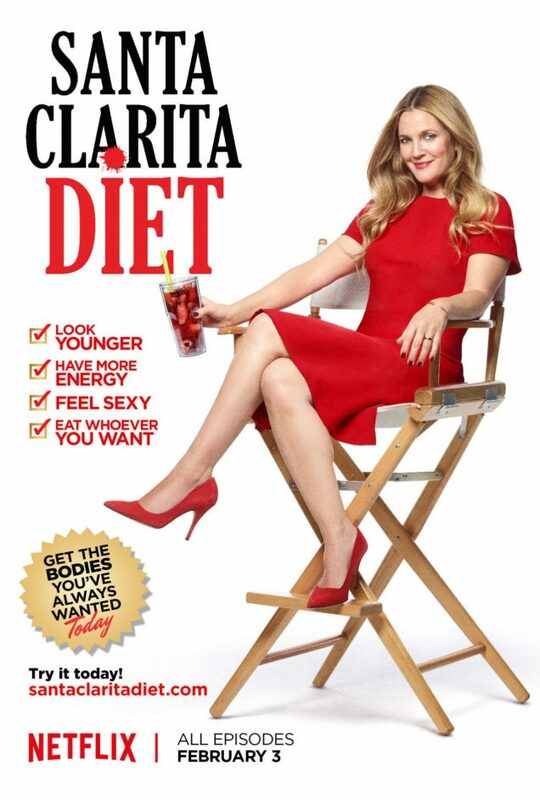 Watch the full, hilarious trailer below, check out the Santa Clarita Diet website, then mark your calendars for Santa Clarita Diet‘s February 3 premiere. Our only concern is this: do we have the stomach to snack whilst we binge watch?